If you like this free game, try Insider Tales: The Stolen Venus 2. Solve a new, mysterious case with Inspector Francesca di Porta! Travel to Rome on the trail of a couple that seems to have disappeared from the face of the earth. The clues point to Leonardo da Vinci - but how could the Renaissance genius be responsible for their mysterious disappearance? - Enjoy multiple mini-games and an immersive atmosphere. 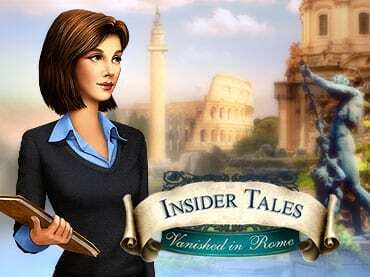 If you have questions about Insider Tales: Vanished in Rome game, please contact us using this form.